There are a number of positive intiatives, both on a state and local level, to improve infrastructure and facilities for disabled persons to Rimini. There is a lot of disparate information out there – we’ve tried to collect the most useful and list it here for you. 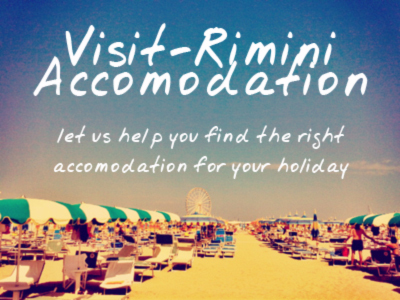 We’re also very interested to hear from disabled visitors who have been to Rimini – maybe your experience can help others, and help us improve the information here. Rimini’s main train station is the usual first point of entry for visitors to the town. The station platforms have lifts for wheelchair access. Rimini’s public transport company, AM (formerly known as TRAM), have made a public committment to improving accessibility for disabled passengers. Buses bought in recent years, and future investments, have been chosen with accessbility in mind, having lowerable floors (35cm from street level) and include equipment for the safe access and transport of wheelchair passengers. According to the company, since August 2005, the fleet has a total of 82 buses thus equipped – with over 40 of these used on the urban lines (the company also runs suburban and inter-urban lines). Specially adapted buses are only half the story, though. The company is actively working with the local administration to adapt bus stops to ensure easy accessibility – but we, at visit-rimini.com have no reliable information regarding the amount, or positioning of specially adapted stops. We hope to be able to post this information soon. Passengers who are not auto-sufficient, who have the relevant documentation, are entitled to bring a companion traveller free of charge on all routes. Blind passengers are entitled to bring guide dogs on board, free of charge, providing they are on a leash and muzzled. One of the intiatives taken by the Rimini Comune has been to offer the use of specially adapted wheelchairs that allow for easier access to the beach and seafront. These are available, subject to booking, for visitors. The wheelchairs have wheels designed specifically for sand and pebbles. The wheelchairs can also enter the water.Click here to see some examples.